Great coffee, homemade cakes, irresistible ice-cream. Welcome to Konditorei Kormuth! 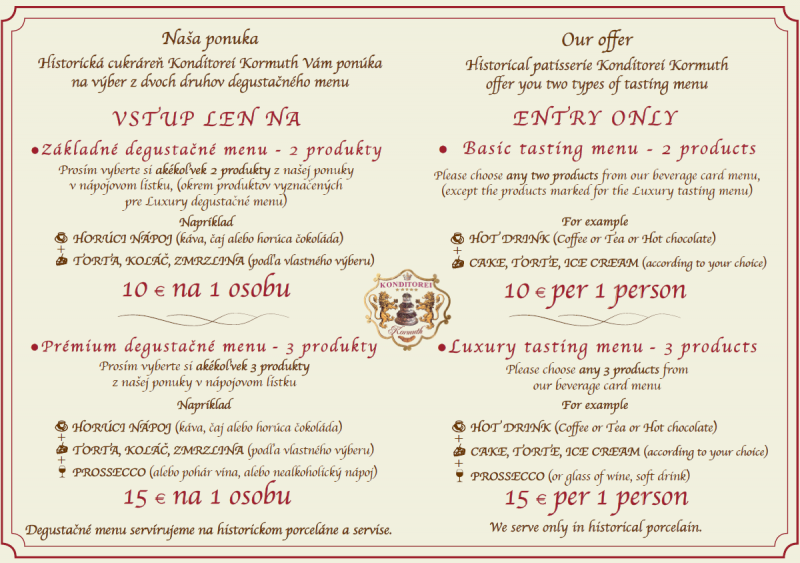 An unusual gastronomic experience is crowned by the 16th-19th century interior. 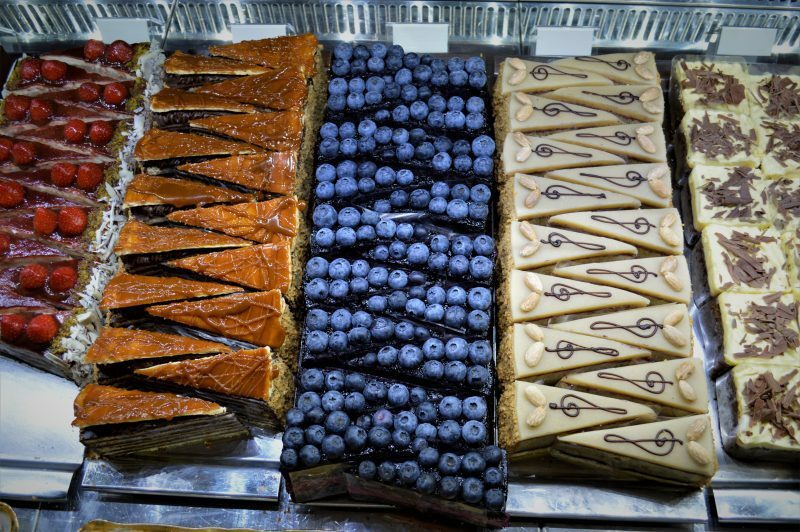 The cakes and desserts from own special bakery are bake from the finest ingredients to meet the high quality standards. 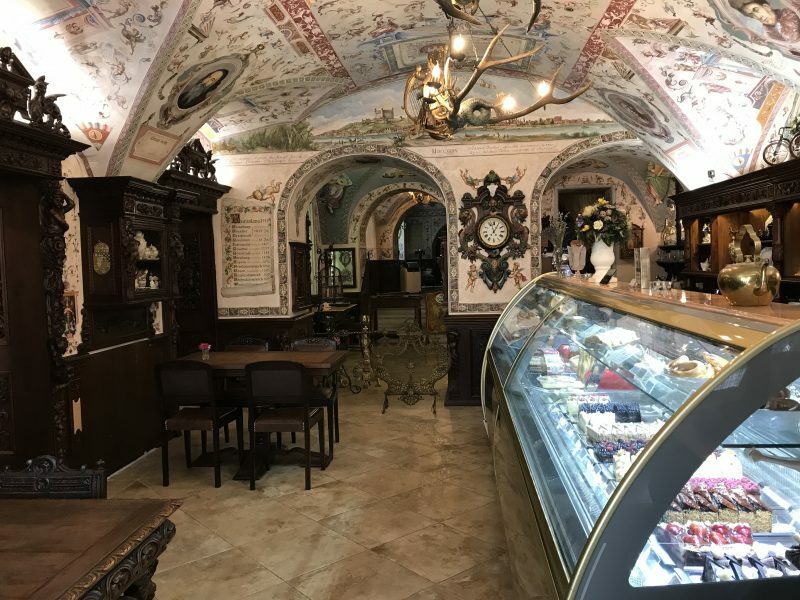 Cakes and delicious Italian coffee are served on a rare, historical porcelain, which enhances the feast experience in this already unique environment. 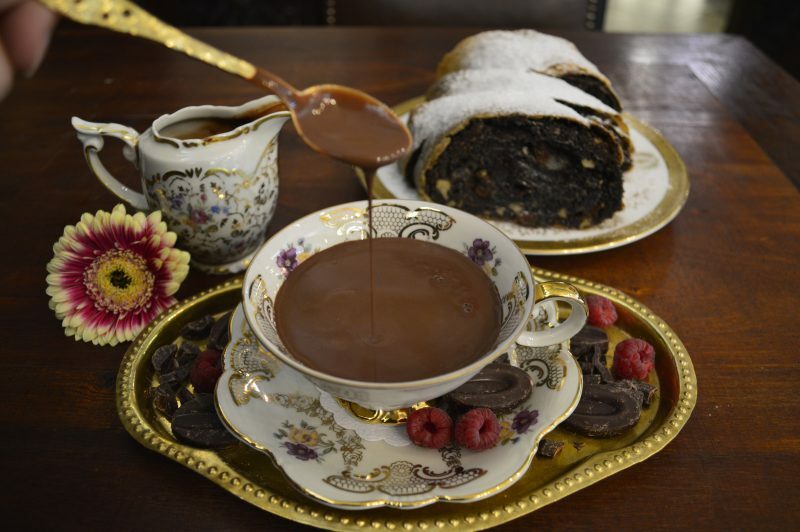 They bake with love for traditions following the original old recipes from the Austro-Hungarian Empire. The only condition for visiting the patisserie is basic 10 € tasting menu. 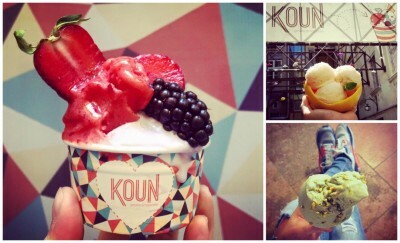 Try the best ice-cream in the city.